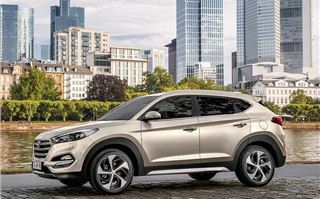 Hyundai departed from the Tucson name for its previous small SUV, the ix35, but has now decided to revive it for the new model. That doesn’t mean it’s gone back to being ropey, cheap and forgettable though – the new Tucson is a capable, competent and comfortable choice of family car that represents real value-for-money. Obviously the first thing that stands out is the styling. 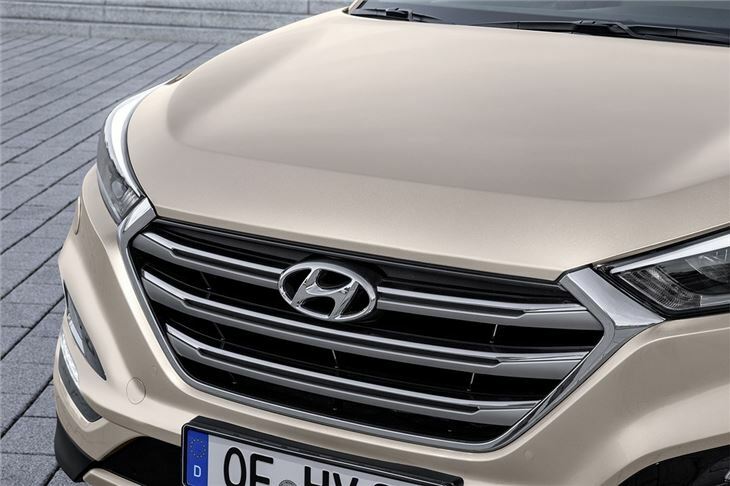 It's much classier and more purposeful than the ix35. In fact it looks a bit like its bigger sibling – the Santa Fe – and the similarities don’t end there. 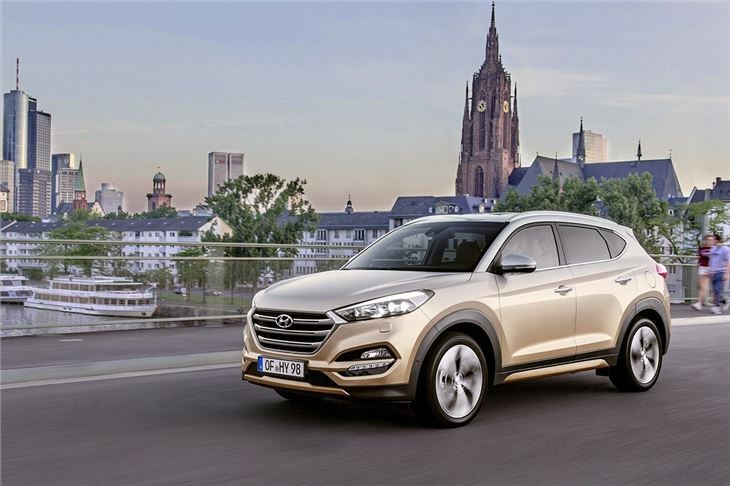 The spacious cabin, impressive refinement and excellent ride quality make the Tucson feel like a bigger car too. 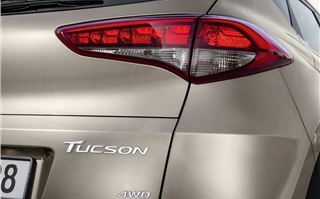 You can tell the Tucson is the poorer relation from the driver’s seat, though. The dashboard layout, while neat, easy-to-use and generally well-finished, has a few cheap-feeling plastics, like those around the touchscreen and on top of the instrument binnacle. 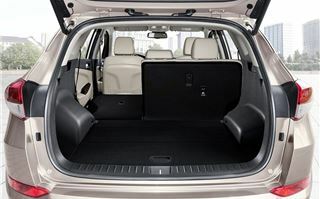 That’s about the only complaint you can level at the interior though – it is otherwise excellent in terms of both space and quality. 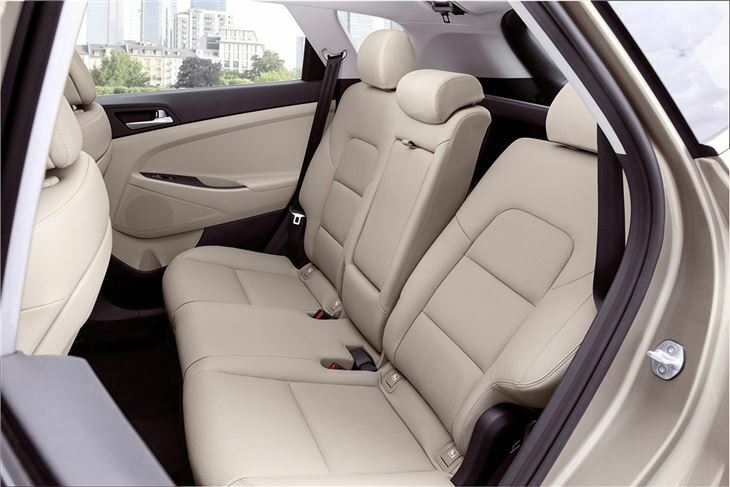 The back row is perfectly capable of seating adults in comfort, thanks to ample leg and headroom, along with reclining back rests. 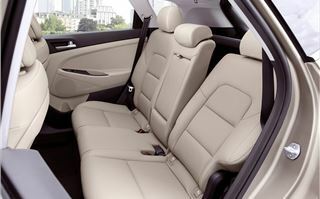 On upper trim levels the rear seats are also heated. 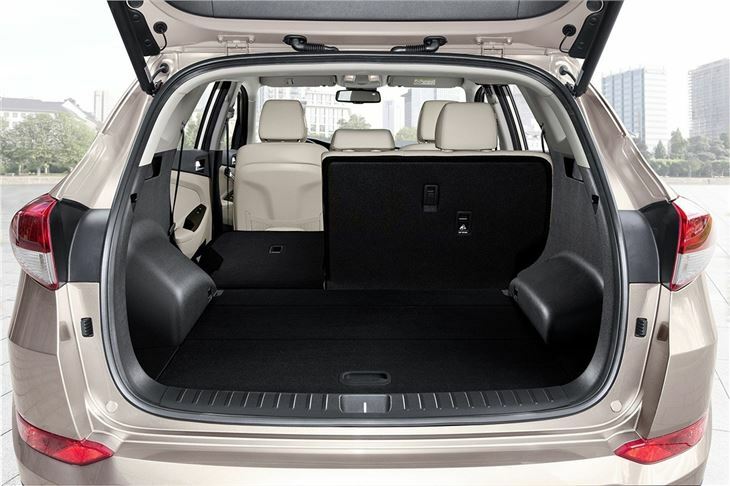 The large, 513-litre boot is well-proportioned and suitable for suitcases or other large items. Plus loading bulky objects is easy thanks to the flat floor and usefully low sill. There are five engines – two petrol and three diesel. 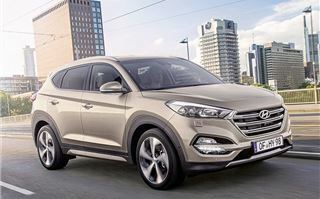 The most economical option is the 1.7 CRDi diesel, which has official fuel consumption of 51.1mpg and emissions of 119g/km - not outstanding by any means but more than adequate..
We had the opportunity to drive the all-wheel drive 1.6-litre GDi petrol with a slick dual-clutch transmission. 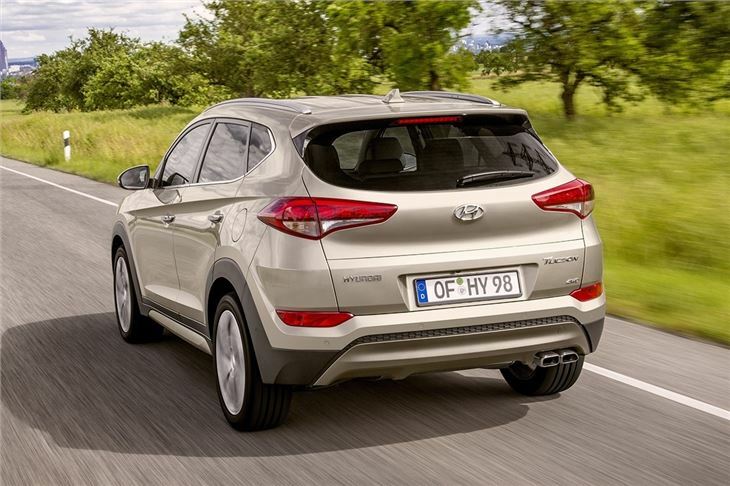 It works fairly well, with useful performance and smooth gear changes – but at higher revs the petrol engine makes a bit of a racket. 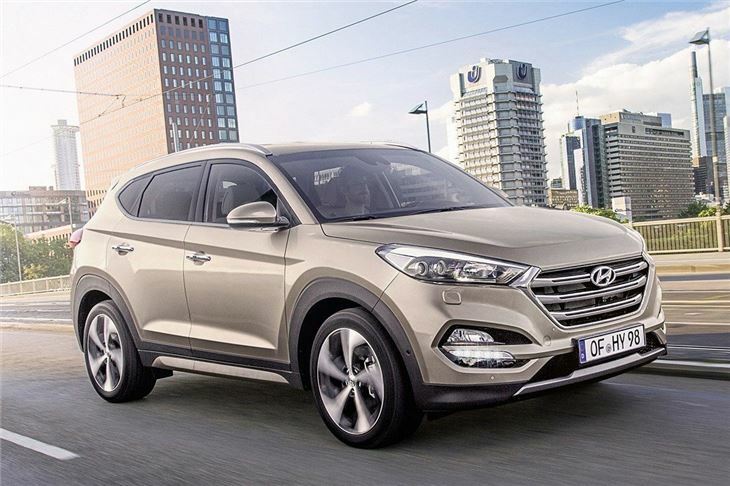 That loudness is at odds with the otherwise very calm and soothing driving dynamics - the Tucson suits a diesel engine better. 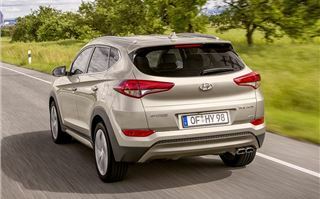 The 2.0 CRDi 185PS diesel we tested is quiet and refined, plus it has ample torque of 400Nm from 1750rpm. 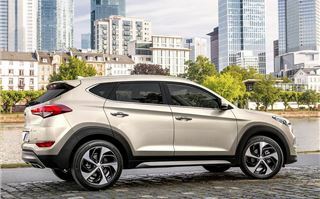 It’s ideal for overtaking slow traffic or for driving long distance on the motorway, but it also works well in rural areas, particularly if you specify the all-wheel drive. 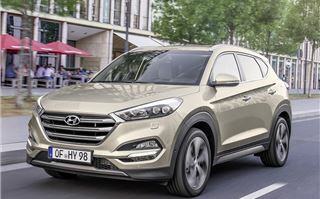 In fact the Tucson is even capable of some light off-road work, though the electronic all-wheel drive system and relatively poor ground clearance hold it back a little. That said, we'd suggest sticking with the more econmical 1.7 CRDi or the 2.0 CRDi with 136PS - both are cheaper and more than capable in everyday driving. 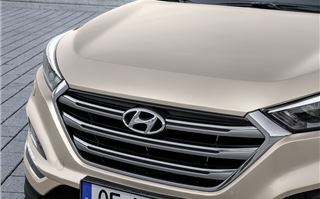 On the tarmac, Hyundai has elected to prioritise ride quality over sharp handling. As a result there is an appreciable amount of body lean through corners, but enough traction to keep things safe. 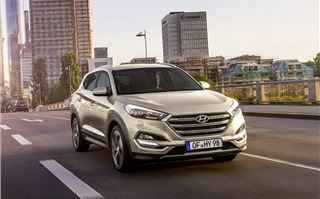 The payoff is excellent, smooth ride quality even on rougher surfaces – for battered British roads littered with countless speed bumps, the Tucson really makes sense. The latest driver assistance systems are available, including lane keep assist and blind spot monitoring to help take the pain out of long drives, as well as active emergency braking to prevent or reduce the impact of collisions. Buyers of automatic models can also get an automated parking system that requires the driver to operate nothing but the brake pedal. All these fanciful technologies don’t come on basic models, but standard equipment is still very good. 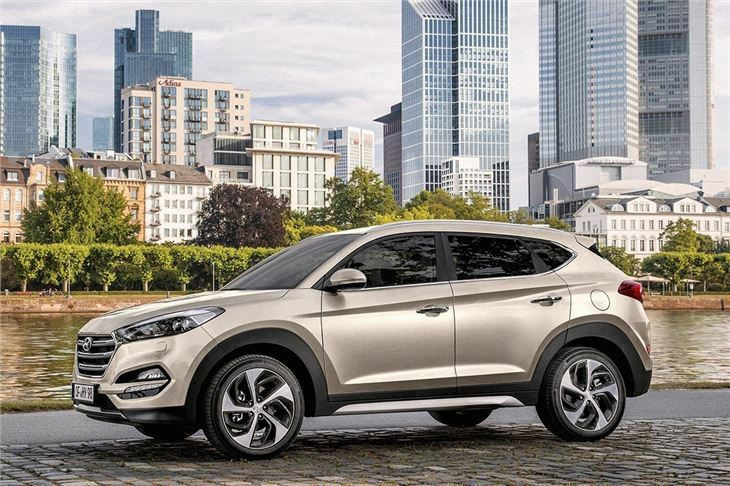 Even the entry-level S model gets DAB radio, alloy wheels and air conditioning. 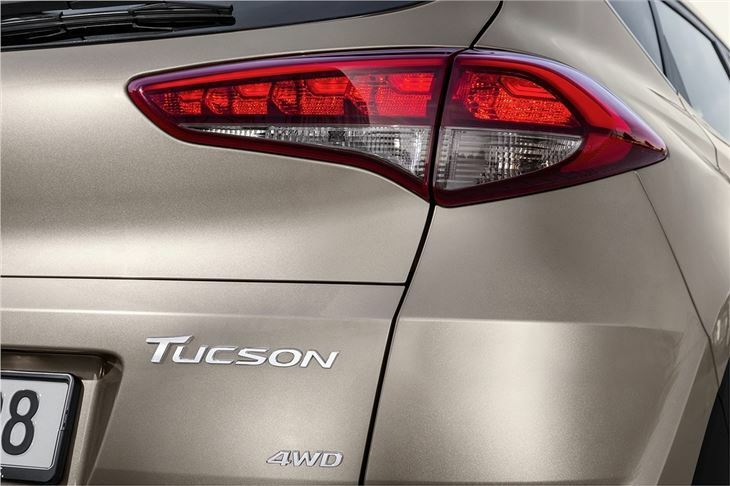 Moving up to higher trim levels adds extras such as larger alloy wheels and chrome trim. Perhaps the of the bunch is SE Nav, which comes with navigation, heated front seats, rear parking sensors, lane keep assist and cruise control. Yet it's still priced froma very reasonable £21,295. 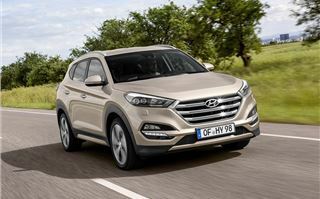 To get that level of gear in a Ford Kuga you would have to spend around £1800 more – plus with Hyundai you get the useful five-year, unlimited mileage warranty to put your mind at ease. 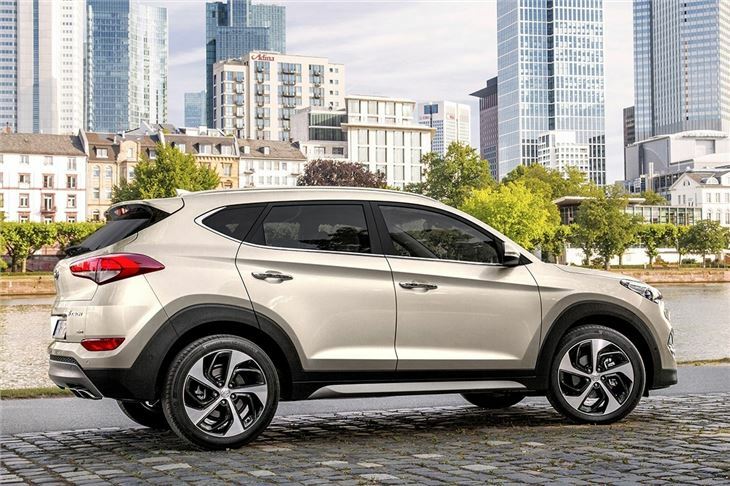 For those who appreciate a comfortable, easy-going car with space for a family, the Hyundai Tucson is a very good choice. There are more prestigious and more enjoyable options on the market, but for those who feel money is better spent on generous equipment levels, comfort and impressive practicality than on a premium badge, the Tucson is one of the best cars around. 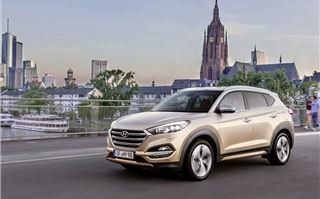 The Hyundai Tucson is available from September 2015.